Working together to advance senior care. 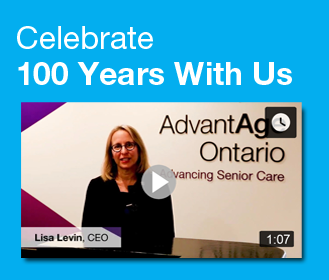 AdvantAge Ontario welcomes not-for-profit organizations that are not direct service providers to join as Associate Members and support our efforts to advance senior care. The 2019 membership fee is $280. Complete Your Application Form and Join AdvantAge Ontario today! We will keep you current on our advocacy efforts and key positions through our monthly newsletters, position papers and submissions, and via our website. Our highly read monthly newsletters, Action Update and Housing News, provide timely information on legislative developments, sector news, Association activities, programs and services, and upcoming events. Access the "members only" section on our website for up-to-date information on long term care issues and developments, and to access member programs and services. Receive a free copy of our annual Membership Directory, which will be invaluable to you as a networking resource and reference tool. As a member, you will save over 30% on our wide variety of resources and manuals. Join the over 2,000 members who attend our highly successful seminars, workshops, and convention each year. Our well-rounded program provides professional training, growth, and career development. Other Services include our preferred pricing programs and annual awards. For more information contact Chris Noone, Manager, Communications and Member Services.